I've been craving something sweet for over a week. I've eaten bullas (a ginger & molasses spiced cake/bread hybrid), my nephew's cookies, my own cookies, sugary popcorn, and plain sugar. Still, the need for sugar persists. That would seem like the perfect reason to make a sweet muffin for this month's Muffin Monday. But alas, my mind doesn't work that way. Apparently I can crave something sweet but still go into the kitchen and make savoury muffins. The muffin inspiration came from all the soup that I had over the last 2 weeks. I've mentioned before that Saturday equals soup in Jamaica. And if you're making soup, it's a cultural sin to not add pumpkin to that soup. You can leave it out of the red peas (kidney beans) soup. But chicken, beef, or corn soup needs some pumpkin. 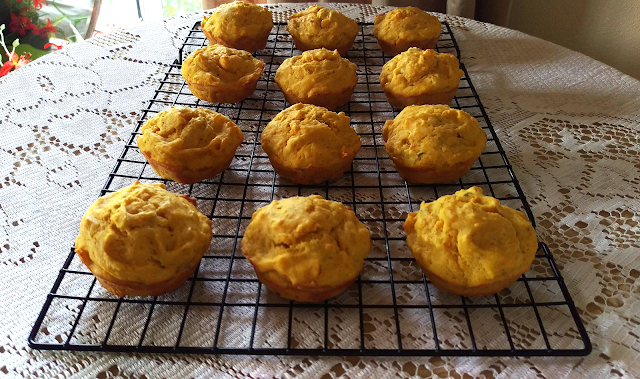 And after my umpteenth cup of soup, I decided that I needed a savoury pumpkin muffin. This means that I'm still craving something sweet. The best way to deal with this may be to give up sugar for a bit. Wean myself, I guess. 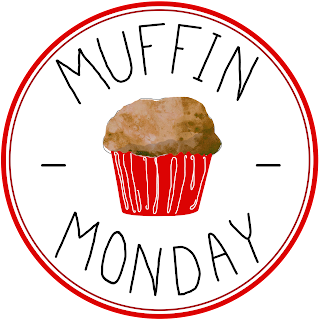 But I spy some sweet muffins on this month's Muffin Monday list. Perhaps, one of them is what I need. Preheat oven to 400 F. Grease a muffin tin or line with cupcake wrappers. Whisk together flour, baking powder, sugar, salt and cayenne pepper. Toss in the onions and thyme. In a separate bowl, whisk together pumpkin, water or milk, oil and eggs. Add the wet ingredients to the dry ingredients and gently mix together. The batter is very thick so be careful not to overmix. Fill each muffin well almost to the top. Bake 15-20 minutes or until a toothpick inserted into a muffin comes out clean. Tastes great warm and at room temperature. This month's Crazy Ingredient Challenge is n easy one. Normally, I'd try to challenge myself to come up with a new way to use an easy combination. But this month, I just did not have it in me. I went for simplicity with a grilled cheese sandwich. This is only the third grilled cheese sandwich I've ever eaten so while it's simple, it's not standard fare for me. I served this for lunch but suspect that in next couple of days, variations will show up at breakfast. Scroll down to see the other apple and rosemary combinations this month. Mix the butter and the rosemary together. 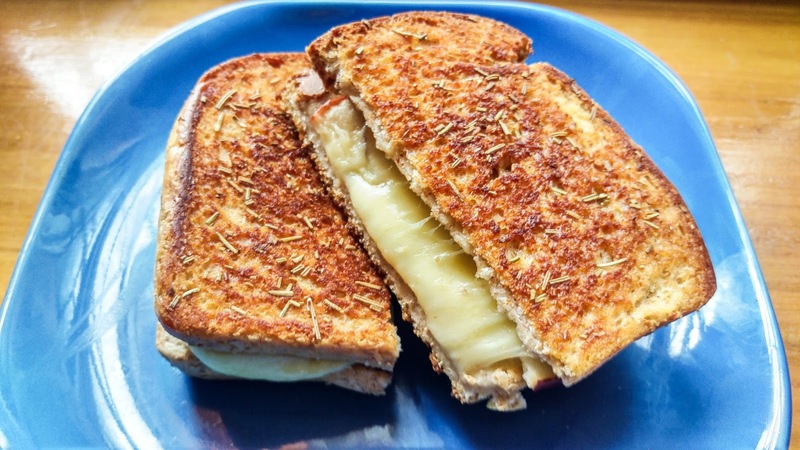 Place a slice of cheese on a slice of bread. Sprinkle with a little rosemary, if you wish and then top with the apples, cheese and then bread. Butter the top side of the sandwich with half of the rosemary butter. Be sure to get it all the way to the edges. Place the sandwich in the pan with the buttered side down. Butter the other side with the remaining rosemary butter. Cook for approximately 5 minutes on each side or until the cheese is melted. As you drive along major thoroughfares in Kingston, Jamaica, you'll find several vendors lining the streets. But late evening, when the traffic is at a standstill, the roasted peanut vendors stand out. There's the whistle from their portable ovens and the smell of freshly roasted peanuts filling the air. My mother is a nuts fanatic and would always get her peanuts from one particular vendor on Washington Boulevard. Freshly roasted peanuts are not as popular in our area so she had to get her treat before she left Kingston. There's only one roasted peanut vendor (that I know of) in our neck of the woods. I'm actually not sure when he comes out. He's not there during the day and I'm not in the area late evenings. I usually only stop by him late at night. It's become a Saturday night ritual for a friend and me. Last Saturday night we bought 5 bags and the peanut man gave us an extra bag. Oh, the joy! And oh the arguments over whom that extra bag belonged to! I conducted the transaction so clearly, it belonged to me, right? Glad we all agree. Freshly roasted peanuts are featured in this bread. Since we don't all have a peanut man, we'll use our toaster ovens to get us some fragrant, roasted peanuts. 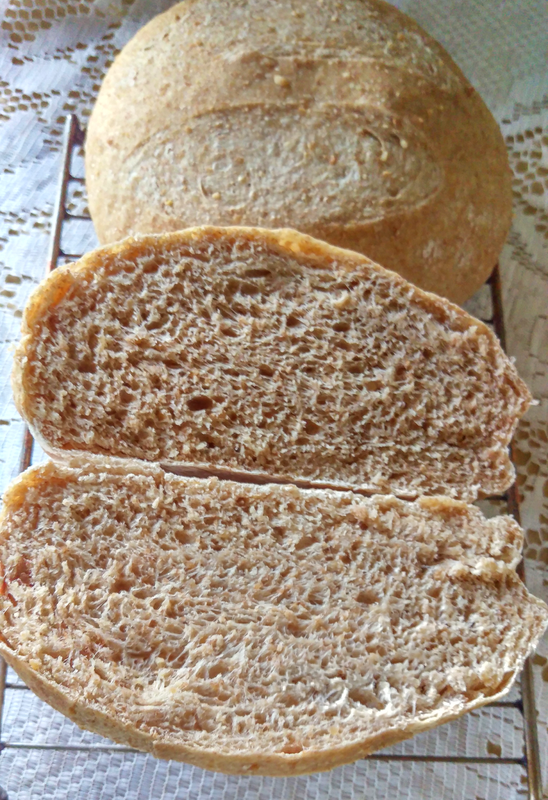 The bread calls for a preferment (the theme of this month's Bread Bakers) so you'll have to do some advance planning. Be sure to check out the source recipe. Steve over at Breadcetera got this from the 2005 Coupe du Monde Boulangerie winning team. It's an 84% hydration bread. Bread at that high a hydration requires some skills. I'm not there yet so I reduced it to a bit under 70%. Even if the high hydration isn't your thing, be sure to visit for his beautiful loaf that he shaped like a peanut. Also, he has great lessons on mixing and hydration over there. 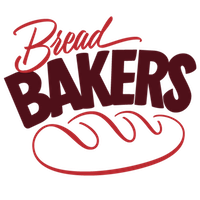 Also, be sure to visit the other Bread Bakers and see how they used their preferments. Thanks for hosting, Karen! Mix the preferment ingredients together until thoroughly combined then set aside at room temperature for 12 hours. Roast the peanuts in a toaster oven at 350F for 5-10 minutes or until browned and fragrant. Cool then ground. Don't turn it into peanut butter! Combine the preferment, flour, yeast, salt, and 80% of the water. Mix until all the ingredients are incorporated and the dough starts pulling away from the sides of the bowl. Next, slowly, add the remaining water and then continue mixing until the water is incorporated - about 5 minutes. Finally, add the ground peanuts and mix for about 3 minutes or until they are incorporated. Place the dough in an oiled container to bulk ferment for 2 hours. After 30 mins, stretch and fold the dough. Repeat 30 minutes later then leave the dough for the next hour. After the dough has fermented, divide the dough into two pieces. Let the dough rest for 10 minutes and then shape each piece into boules. Allow the boules to proof for 45 minutes or until almost doubled. When the boules are almost ready, preheat the oven to 450F. Bake for 30 minutes or until each boule registers approximately 200F. Cool and enjoy. The stars finally aligned for me to participate in another Foodie Extravaganza! Over the last year (probably longer), there was always something - ingredients that I couldn't find (figs! ), time disappearing, or just plain being unable to think of something. But last week I decided that I just had to participate in this month's nuts theme. It's nuts, after all. So many options. So easy. All tasty. I haven't baked bread in several months so I thought I'd use this theme to start playing with dough again. 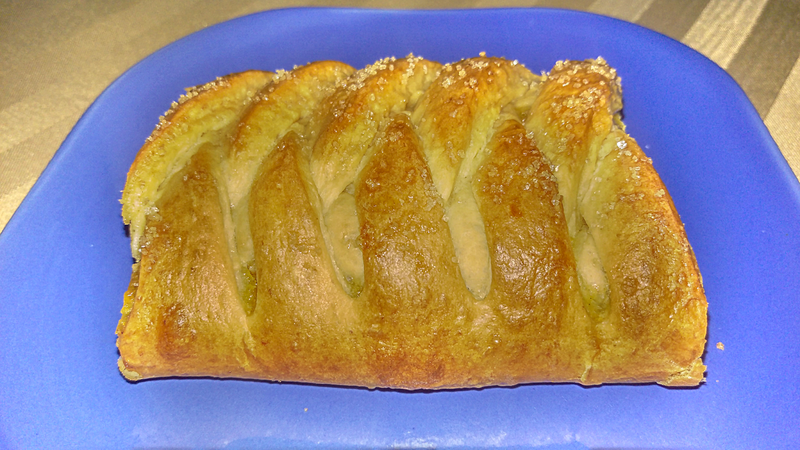 So here's a simple pumpkin nut braid. Knead together all the dough ingredients to form a soft, smooth dough. The dough should not be sticky. Cover and let rise at room temperature until doubled. While the dough is rising, prepare the filling. Mix together the pumpkin, sugar, spices, and egg yolks and then stir in the chopped nuts. 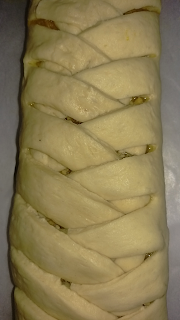 When the dough has risen, divide the dough into two and roll each half into a rectangle that is approximately 12" x 8". Spread half of the filling in a 3-inch wide strip lengthwise down each dough rectangle. Stop within an inch of the ends. Make 1-inch cuts along the long sides of the dough cutting from the filling out to the edge. Fold an inch of the bottom of the dough up to help contain the filling. Fold the strips at an angle across the filling overlapping the ends and alternating from side to side. Transfer the braids to parchment-lined baking sheets and allow to proof until puffy but not quite doubled. While the braids are proofing, preheat the oven to 350 F.
When the braids are ready, brush with the egg white mixed with a little water. Sprinkle with sugar, if desired. Place in oven and bake 35-40 minutes or until the braids are golden. Before you add the yolks to the filling, taste and adjust spices to your liking. 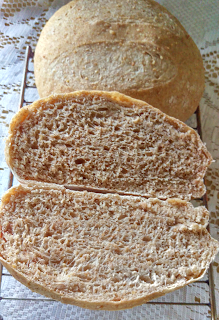 Dough recipe is from King Arthur and filling is slightly adapted from Pillsbury. Posting day is always the first Wednesday of each month. If you are a blogger and would like to join our group and blog along with us, come join our Facebook page Foodie Extravaganza. We would love to have you! 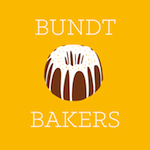 If you're a spectator looking for delicious tid-bits check out our Foodie Extravaganza Pinterest Board! Looking for our previous parties? Check them out HERE.